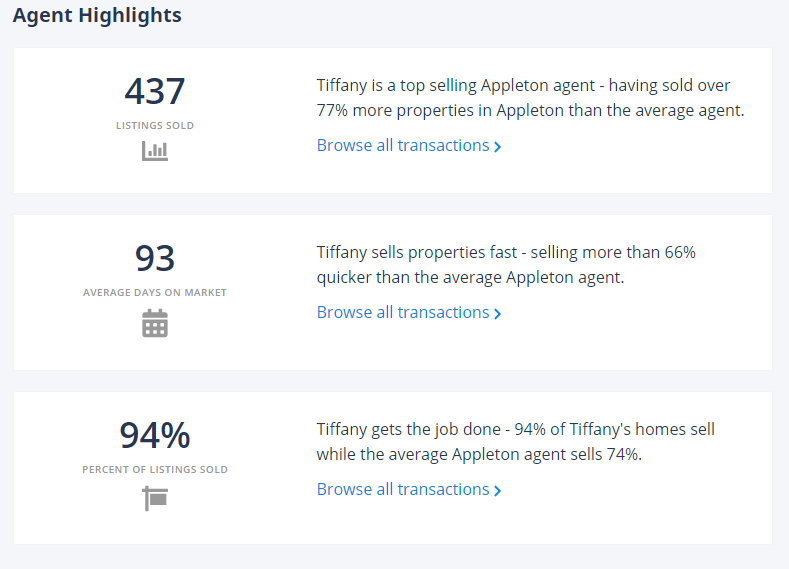 Why List With Tiffany Holtz Real Estate Group? There are over 900 agents in the Fox Valley area so what sets us apart from those agents? We generate over 40 leads per day for buyers who are interested in our listings. The average agent generates 40 leads per year! Our average sales price is 11% higher than the MLS average. We use Radio, TV, Custom websites and large postcard mailings to generate traffic to our listings. Click here to see our full list of media advertising. You will receive professional photos of your home. You will receive professional staging of your home. The average agent spends $248 a month to market their listings. 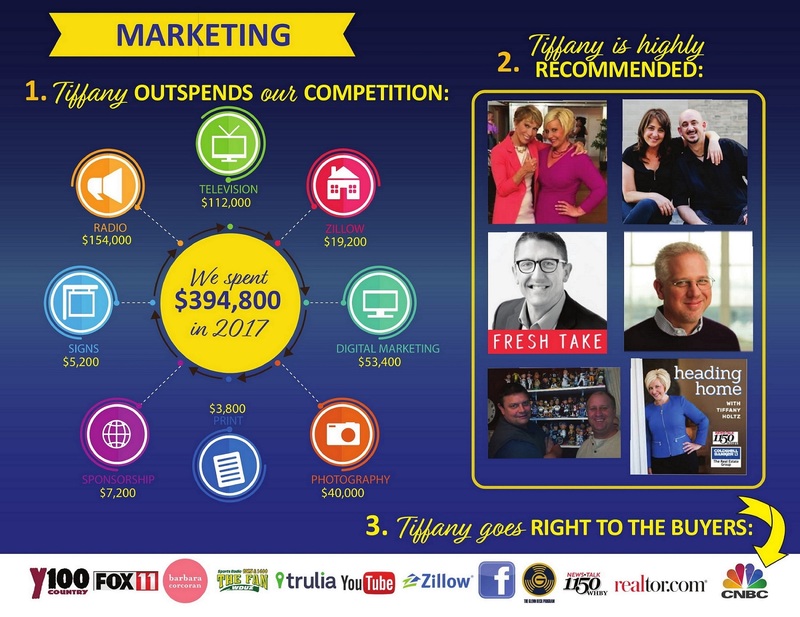 Each year we spend approximately $394,000 to market our homes which includes Radio, TV, Zillow, Professional Videos, Staging, Photos, and Social Media!